I hadn’t seen that one. I’ll check it out. Here are a couple of things I have made. 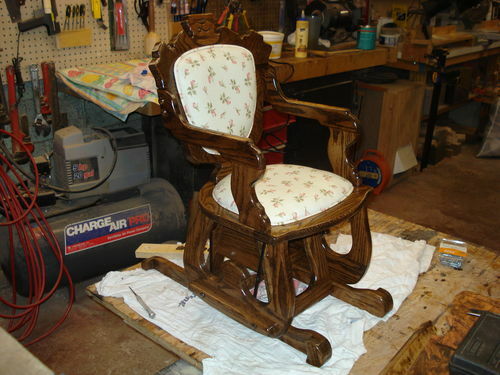 Plans for the adjustable chair are posted in my projects. I have made about 20 of these for grandkids and friends. 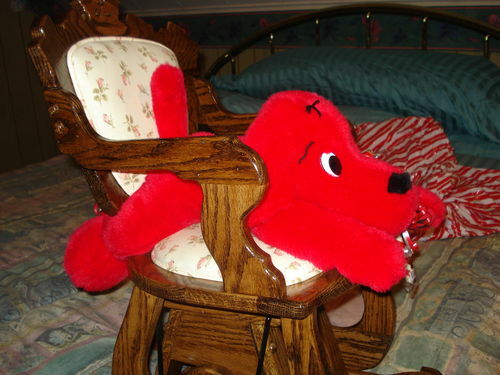 Some of the kids used the chair daily up to their teens. 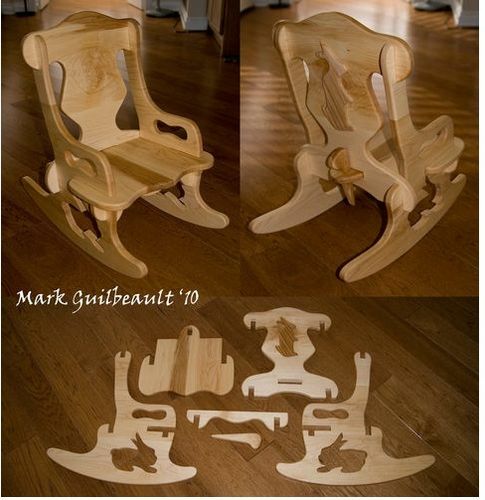 I can send you drawings of the rocking chair parts (puzzle) if you like. As you can see I took the idea from the person listed in the picture and he did not have any plans so I made my own. The rocking dog is just right for a toddler to use and of course other animal heads could be substituted…just no sharp points. LesB, that rocking chair grabbed me right away. It’s beautiful and I want to make one. 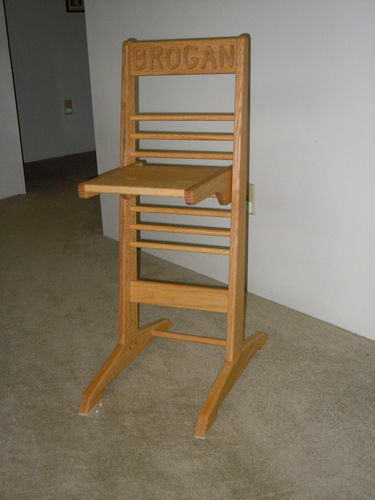 If you could send me info on the rocking chair I’d appreciate it. After furnishing my house via my unplugged wood shop, I too found myself wondering what to build next. Believe it or not, not everyone is into colonial era furniture … go figure! Nor does anyone want to pay for the time spent building furniture in an unplugged wood shop. I needed to find something to build that would not only be historical, but rewarding and showcase my acquired skills. I ended up building Prie Dieux. I just recently finished the fourth is a series of four Prie Dieux for the clergy at St. Bede’s Episcopal Church in Tucker, GA. Although I’m using existing design elements, my Prie Dieux are my own designs based on the personality of the recipient. Nice Lew, very nice indeed! Holy Moly! Looks like I’l have my future grandson spoiled! Sorry, AAL … I misinterpreted the OP. 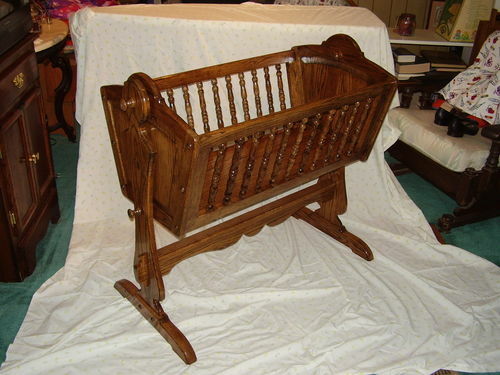 When you said you ran crib, toy chest, rocking horse, etc. 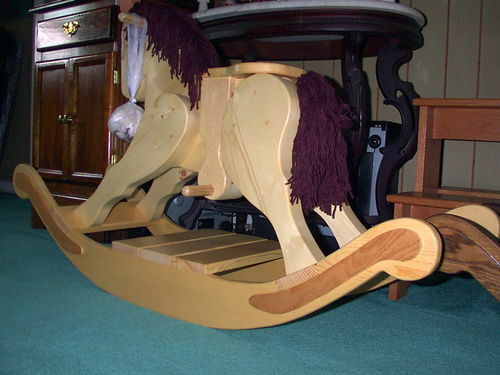 past your daughter and she came back with ”... hard edges & corners of wood aren’t as forgiving as the well rounded corners and softer surfaces of plastic children furniture & toys…”; I thought perhaps you were looking for other woodworking projects to pursue. My bad! No problems Ron. It’s a nice piece of work and I think later when the grandson is older on this could be a great project.